My post covering the setup and use of the Yaesu FTdx3000 with Ham Radio Deluxe (HRD) gets hundreds of hits a week. So I thought it a worthwhile use of time to create a similar posting for SmartSDR. As the FlexRadio documentation is excellent I will not spend much if any time providing details on how for example to create a port in SmartSDR CAT as the existing user documentation covers this in detail. First step is setting up a vitual serial port for HRD to connect to. Below is the end result a Com11 CAT serial port assigned to Slice A. 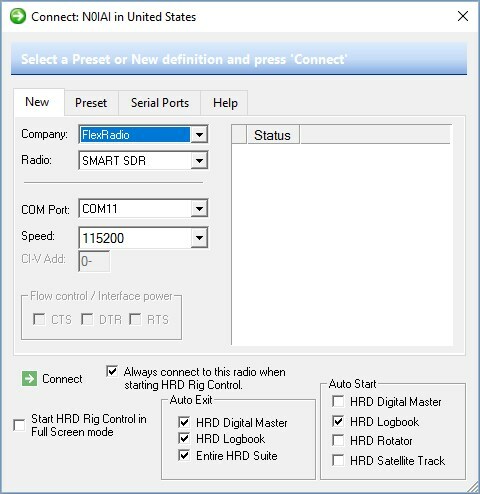 Also shown in the screen capture below, HRD is connected to this port. The connection will not actually occur until HRD config is complete. Since we are going through the effort of plumbing up the CAT connection, let us spend a little time setting up the virtual sound card for whatever tickles your fancy. 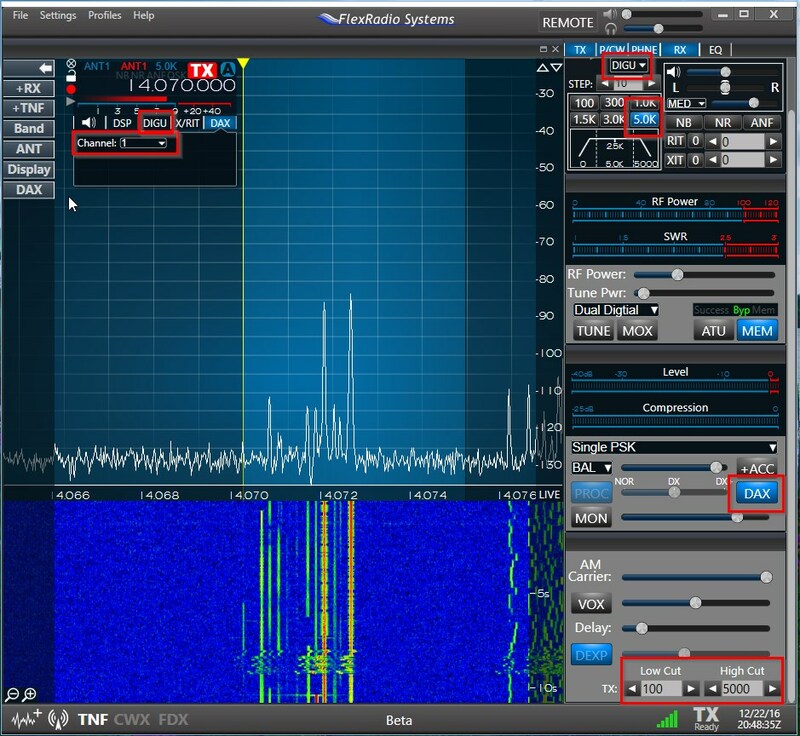 In my example below I am running a 5Khz wide slice which while in the example is on a 20 meters PSK frequency, this setup works well across any of the audio based digital modes. For DAX to work it must be enabled, the slice assigned a DAX channel, it is also a best practice to open up the receiver width to 5k with a corresponding change to the TX High Cut to match. I have outlined in red below the key configuration areas. In the DAX Control Panel one final step before moving on, enable “RX Stream 1” by clicking on the “1” which will change the stream to active and the indicator to blue. Next let’s start up HRD and setup the CAT connection to the radio. 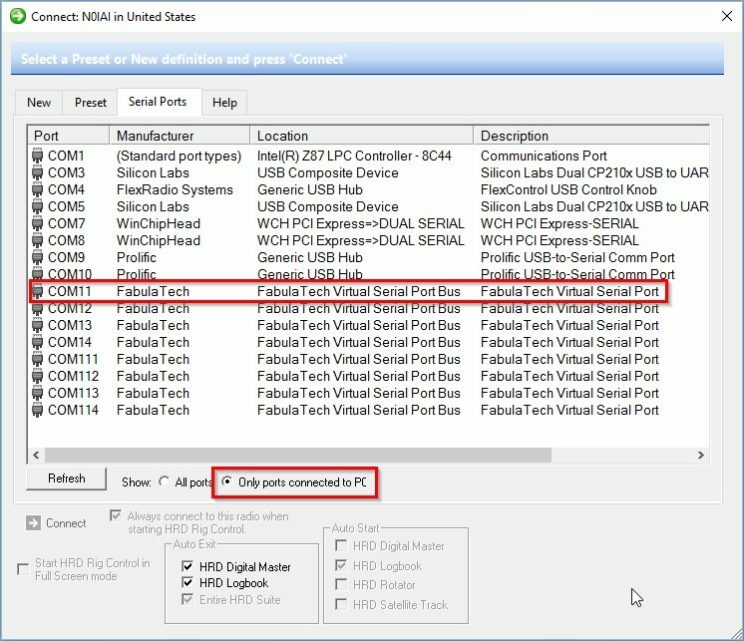 On the “Serial Ports” tab of the connect window the virtual serial port presented by SmartSDR CAT is visable. Return to the “New” tab and setup the config parameters and press the connect button. 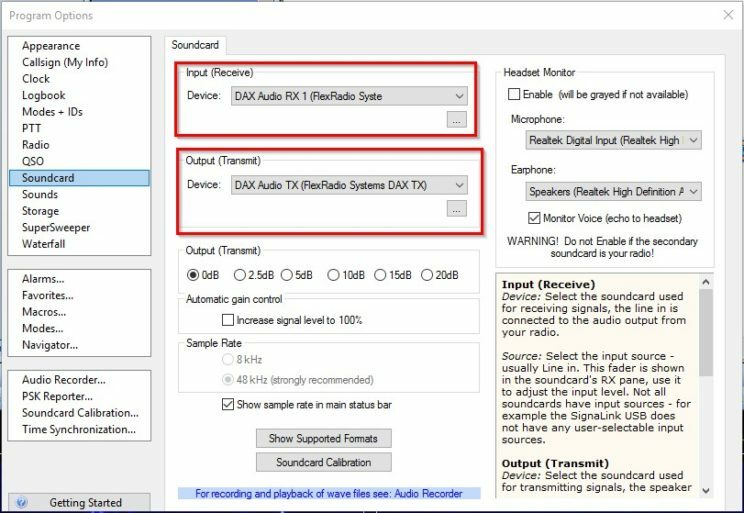 Pretty simple for this example select “DAX Audio RX 1” to use the first RX Stream. 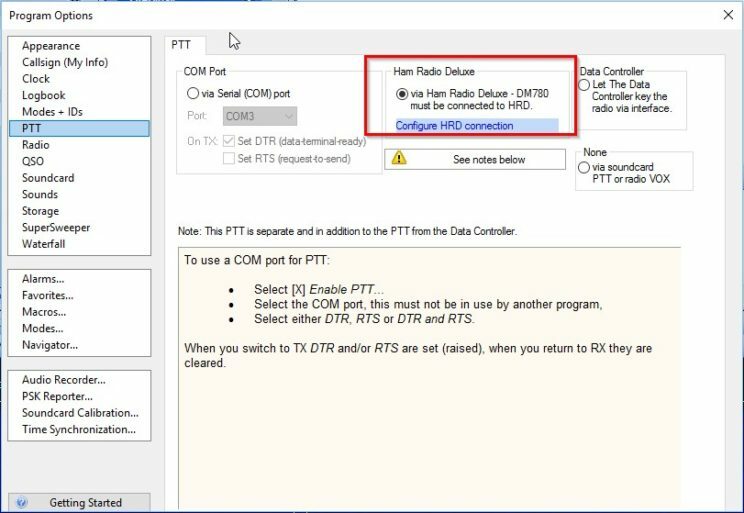 The last setup item is enabling a PTT method, via HRD which uses CAT commands is simple. If you want to get fancy you can also add a PTT port in SmartSDR CAT and use RTS or DTR you choice to key the radio. And what could I do to use DM780 with FLEX to work in CW ? I am not a CW op so I do not have any first hand operations knowledge operating the Flex via DM780 so I had to research this a bit. 2) In DM780 change mode to CW (WinKey), this will open another window. In this window you will need to select the port # which you created in step 1. 3) I would also review the SMartSDR manual on CW ops and setup up the delay and other needed settings. For your awareness while researching this today I found several articles on the Flex forum describing issues with this setup. 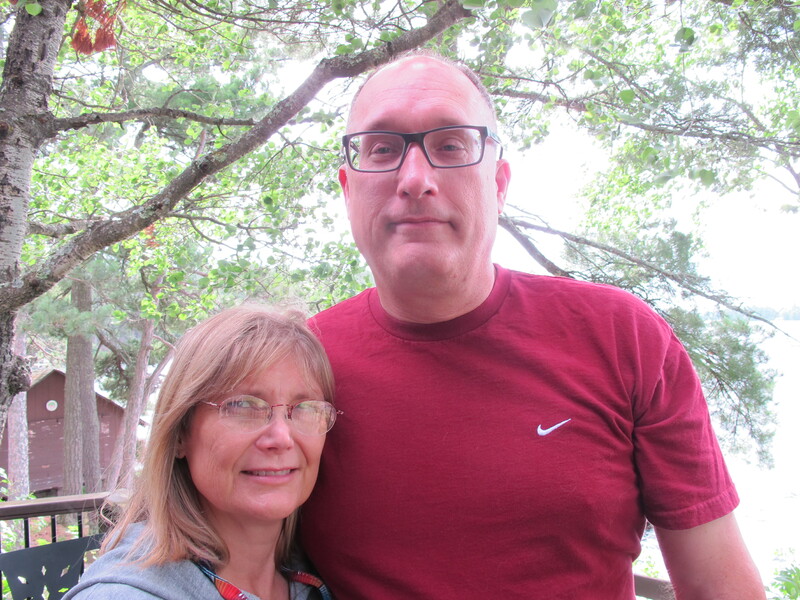 Most of the articles are older so the issues may have been corrected. Thanks for your tutorial message . I did it and works . I heard the pulses dash dot in the speaker buy without any Pitch . So I guess i don´t know how to configure all the variants on WinKey emulator on DM780 and perhaps something more on FLEX. Ensure the Flex is in CW mode and you have Sidetone enabled. You will also need to set the delay, I have mine at 200. 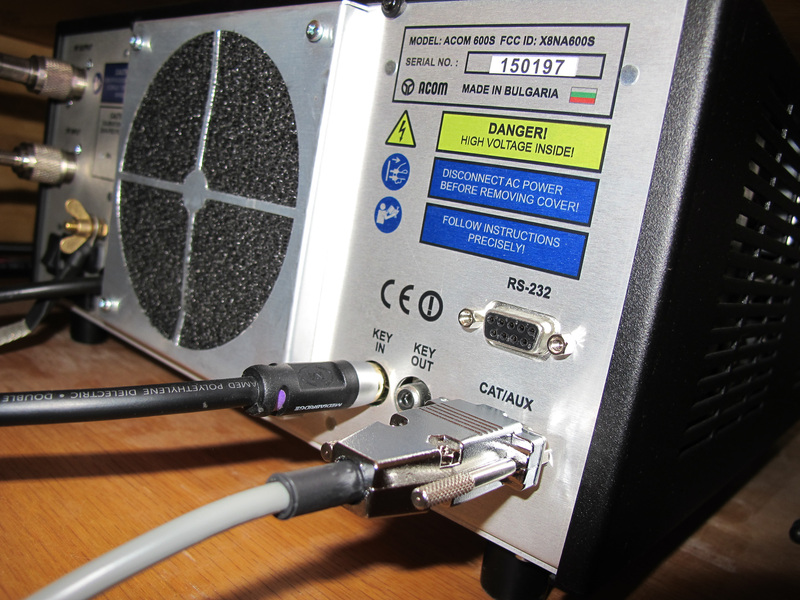 I would recommend reviewing the CW Transmitting section of the SmartSDR manual. Great info!! I have an issue after setting up Smartsdr and HRD as you have described…when I shut down at nite and come back the next day I have to create a new serial port in CAT because HRD will not connect to yesterdays port which worked perfect! What am I missing in the setup that will allow HRD to connect without establishing a new port each day? I suspect a windows driver issue, what version of SmartSDR are you using and have you tried a complete uninstall with driver delete. Followed by a fresh install?